Judge G.R. Smith issued a great reminder that lawyers must “stop and think” when dealing with discovery disputes. This duty is imposed by Rule 26(g) and is “an affirmative duty to engage in pretrial discovery in a responsible manner that is consistent with the spirit and purposes of Rules 26 through Rule 37, and obligates each attorney to stop and think about the legitimacy of a discovery request, a response thereto, or an objection.” Hernandez v. Hendrix Produce, Inc., 2014 U.S. Dist. LEXIS 4837 (S.D. Ga. Jan. 9, 2014) citing Bottoms v. Liberty Life Assur. Co. of Boston, 2011 U.S. Dist. LEXIS 143251, 2011 WL 6181423 at * 4 (D. Colo. Dec. 13, 2011). The case at issue requiring lawyers to “stop and think” involved the plaintiffs in a farmworker rights lawsuit. Three of the plaintiffs were in Mexico and unable to return to Georgia for their depositions. The Defendants wanted the depositions to be held in Georgia. The Court, on its own, brought up the use of Skype to conduct the depositions. 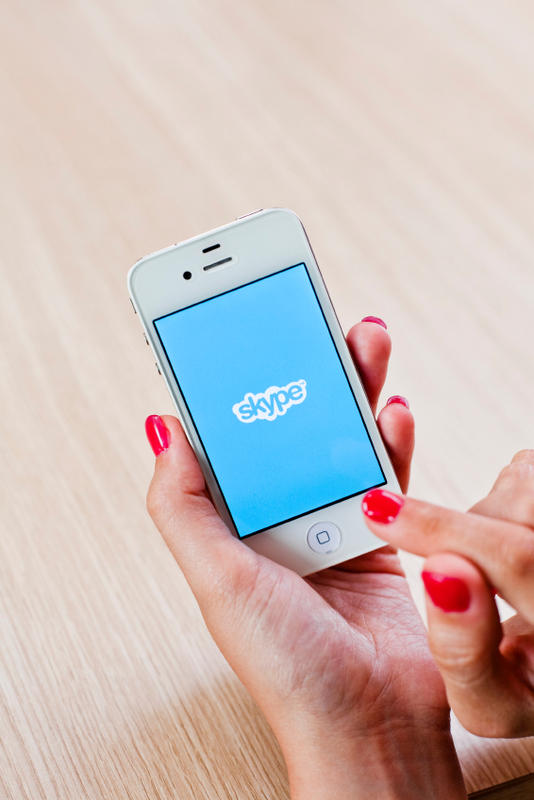 The Court explained that “Skype is now used to facilitate many a human interaction,” including parent-child visitation orders, marriages and depositions where travel cost is prohibitive. Hernandez, at *8-9, citing Young v. Young, 2013 Ark. App. 707 (Ark App. 2013), Tshiani v. Tshiani, 208 Md. App. 43, 56 A.3d 311, 321-22 (Md. App. 2012) and Yu Hui Chen v. Chen Li Zhi, 109 A.D.3d 815, 971 N.Y.S.2d 139, 140 (N.Y.A.D. Sept. 11, 2013). The Court directed the parties to meet and confer over Skype-based depositions with translation and recordation, or the Plaintiffs contribute $1,000 to the Defendants for conducting the depositions in Mexico. Hernandez, at *9. I am thrilled judges are ordering parties to look at using video depositions to reduce travel costs. However, I personally would not use Skype for a deposition. This is not because I do not use Skype, but would prefer a remote video deposition service instead. These services have applications designed specifically for remote depositions. They also understand the requirements for remote court reporters. Many states often require a court reporter to be with the witness for being properly sworn in. Moreover, an international setting likely would require the deponents to go to the US Embassy to be deposed. I agree with Judge Smith’s logic, reading of the rules and solution. I would totally give him a high five for not being afraid to solve problems with technology. I just would use a different videoconference tool. If it is appropriate here, can you recommend a video conferencing deposition service? This is coming up in more of my cases where I need expert testimony to support my requests for discovery (e-discovery in smaller local jurisdictions), but those experts live far enough away that it becomes cost-prohibitive for my clients to pay for the travel. And thanks for the continued valuable blog posts! They help us build persuasive arguments in courts where there is not currently good authority for requiring the best e-discovery procedures. There are a lot of options. I have friends at Next Gen Court Reporting who do remote deposition very well. Don’t forget about the exhibits when planning a remote deposition. While you can save money not flying there you still have to allow the witness to review documents you are going mark as exhibits. So do you ship a box of potential exhibits to Mexico? Why not have all parties log in to eDepoze instead. The noticing attorney can mark and distribute to all parties at the same time electronic exhibits. Beyond the cost savings, attorneys actually maintain control over the deposition much like they would in-person.